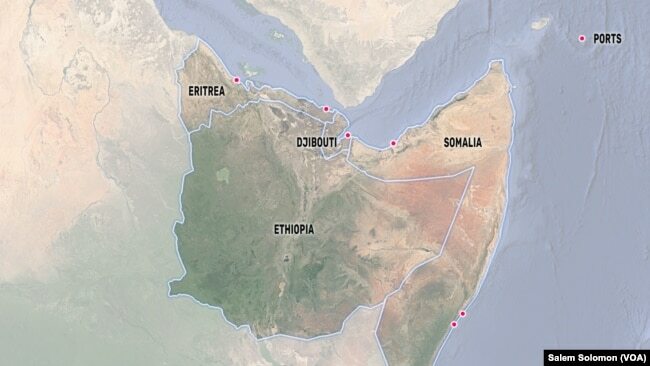 WASHINGTON — The Horn of Africa continued to resolve diplomatic impasses with the announcement Friday that Eritrea and Djibouti will normalize relations. 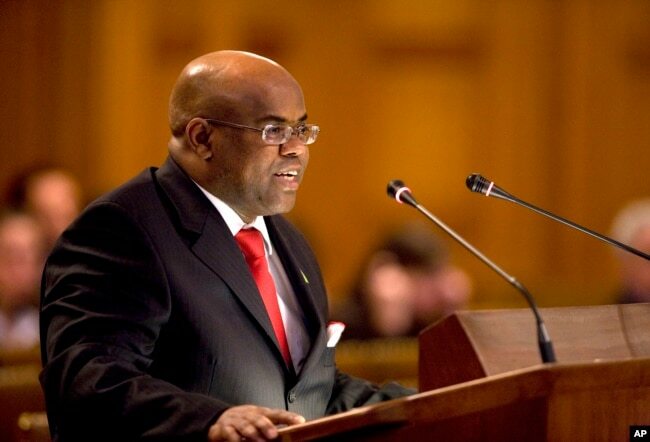 FILE – Mohamed Siad Doualeh, Djibouti’s ambassador to the United Nations, told VOA the time is right for the nations of the Horn of Africa to support one another. Doualeh is shown speaking in The Hague, the Netherlands, in 2008. Mohamed Siad Doualeh, Djibouti’s ambassador to the United Nations, said the time is right for the nations of the Horn of Africa to support one another. Ahmed Isse Awad, Somalia’s foreign minister, told VOA’s Somali service that both Ethiopia and Somalia played prominent roles in Eritrea’s reconciliation with Djibouti. “Our president, along with the prime minister of Ethiopia, has played an important role in working toward a region that is united, that’s peaceful, that’s cooperating on political, economic and security fronts, and silencing the gun, as the goal of the A.U. (the African Union) is, and bringing these two brotherly countries of Djibouti and Eritrea together to resolve their feuds and conflicts,” Awad said. 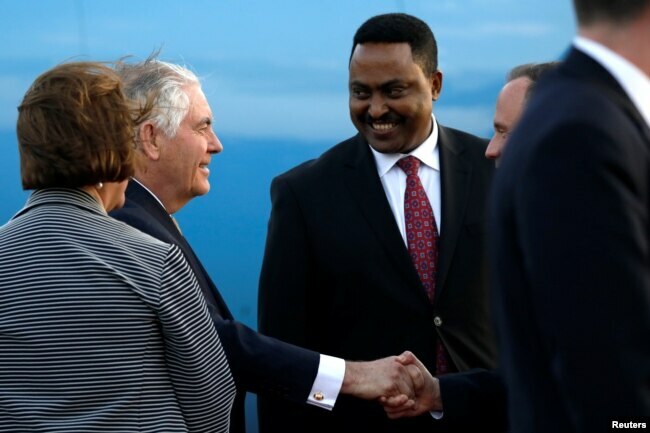 FILE – Former U.S. Secretary of State Rex Tillerson, second from left, and Ethiopia Foreign Minister Workneh Gebeyehu, second from right, meet in Ethiopia. Ethiopia’s foreign minister, Workneh Gebeyehu, told VOA’s Amharic service that peace between Eritrea and Djibouti benefits the entire region. “I think the future is bright for all of us, you know,” Doualeh said. “As far as Djibouti is concerned, we’ve been building and investing in world-class port facilities that are designed not just for the region but also the COMESA countries (a trade agreement between 19 African members). And we would really like to see those facilities serving the purpose of supporting the economic development of the region, the Horn,” he added. “We commend the mutual efforts of Djibouti and Eritrea to restore good relations. Upon request, we stand ready to support next steps toward the resolution of outstanding issues,” Tibor Nagy, the U.S. assistant secretary of state for African Affairs, said on Twitter. U.N. Secretary-General António Guterres joined a chorus of international support praising the end of the impasse as well. This is “another important step in the rapprochement among the countries in the Horn of Africa region,” Guterres said Saturday. VOA Somali Service reporter Sahra Abdi Ahmed and VOA Horn of Africa Afaan Oromo Service reporter Sora Halake contributed to this story.